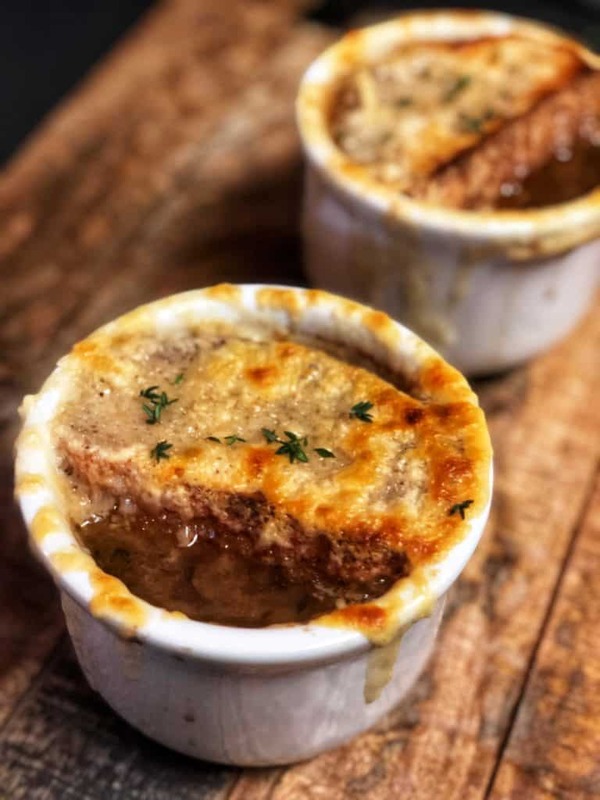 Odds are…I see French Onion Soup on a menu…I’m ordering it! Sometimes it’s good…sometimes…not so good! 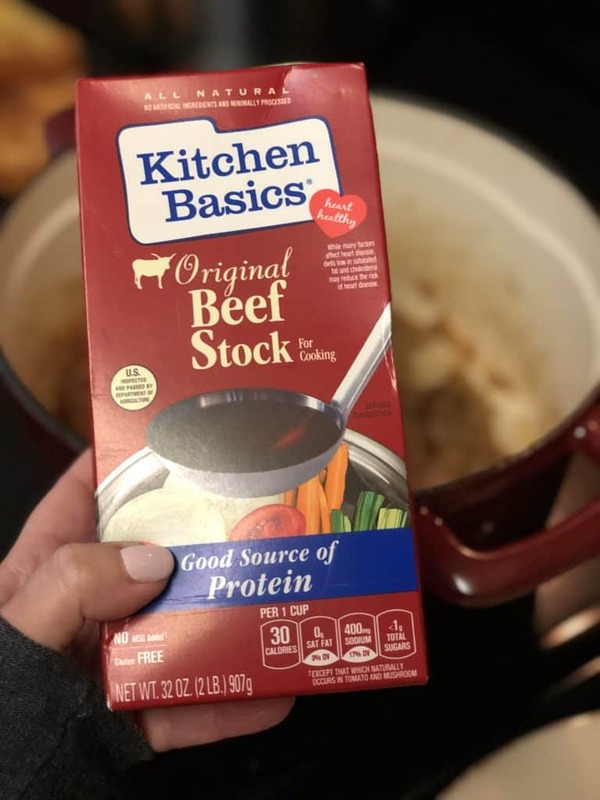 You always remember the good…the super rich broth…the cheese that runs down the side and is brown and crispy…and that perfectly toasted, cheesy bread. 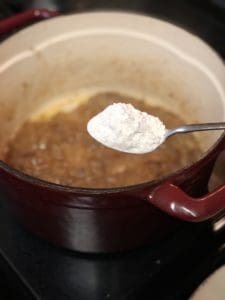 This recipe I created is definitely one of the good ones…may be one of the best I ever tried…although it may quite time consuming…it is so worth the process! If you haven’t yet…you really need to invest in an enameled cast iron pot…click here to shop! 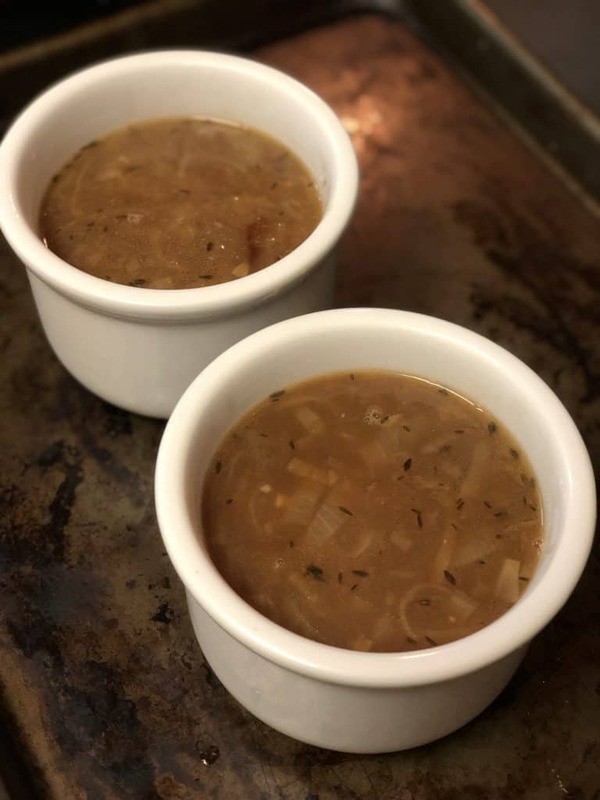 Let’s get souping! 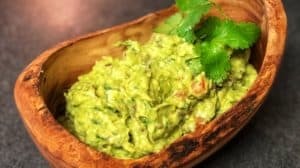 This recipe will make about 5 to 6 serving! 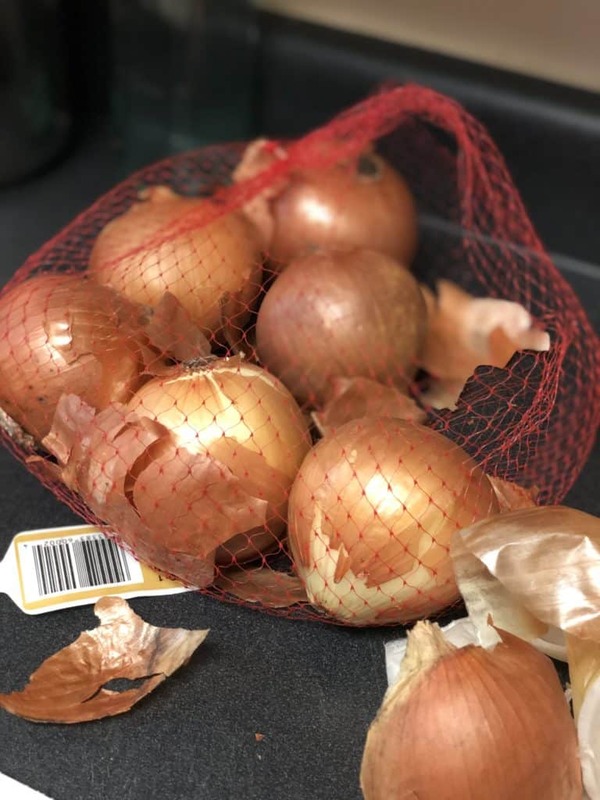 Cut the ends off of your onions. Peel. Cut in half then slice into half moon shapes. 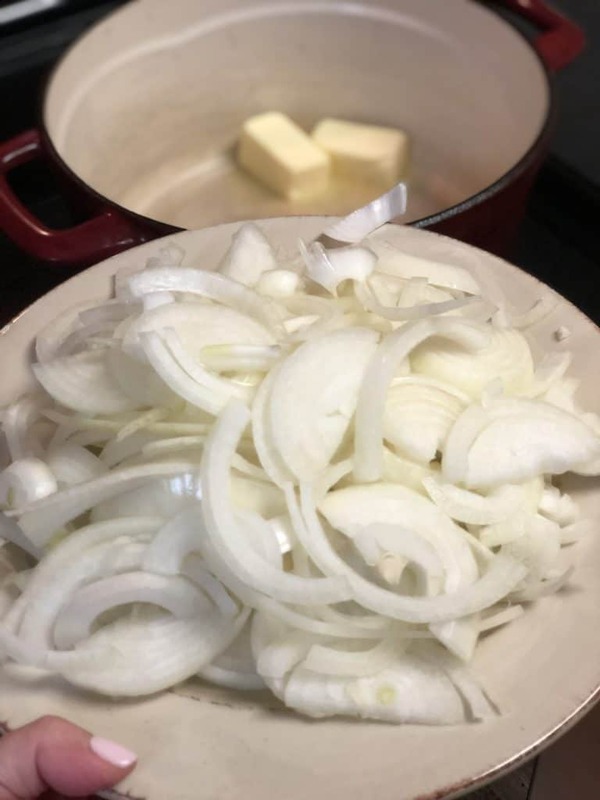 Melt the butter in a heavy bottom pot on medium heat. Add the onions, garlic, bay leaves, thyme and salt and pepper to the pot. 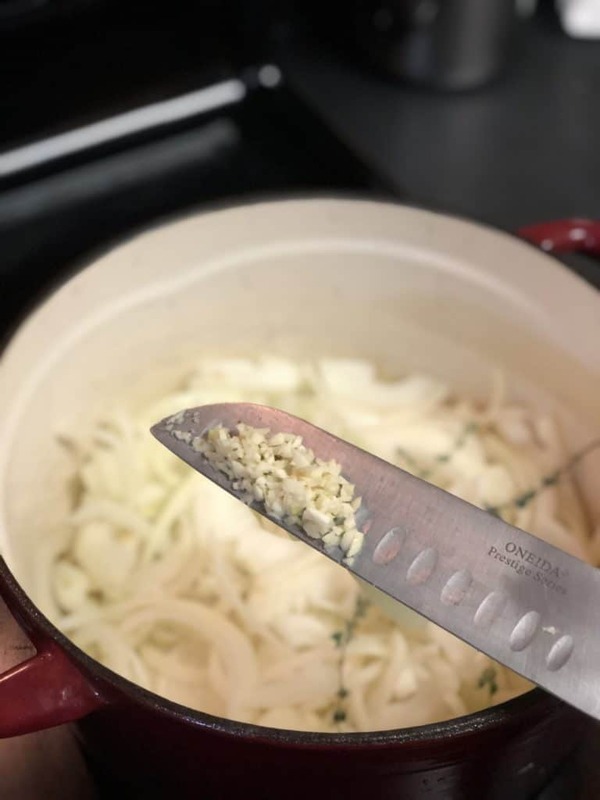 Maintain the heat at a medium to medium-low and begin sweating your onions. This took almost an hour for me. 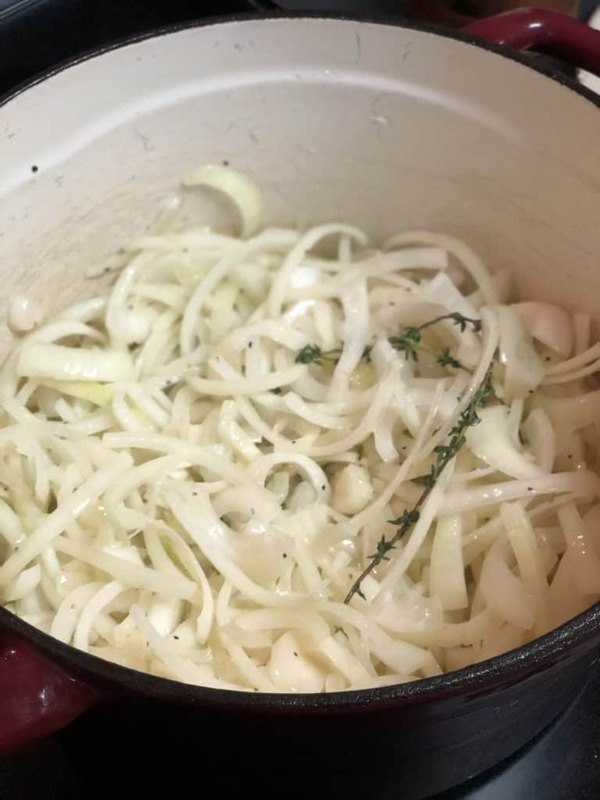 Slow is the key to develop the caramelization. Keep at this temp to ensure the onions do not burn. Stir often. 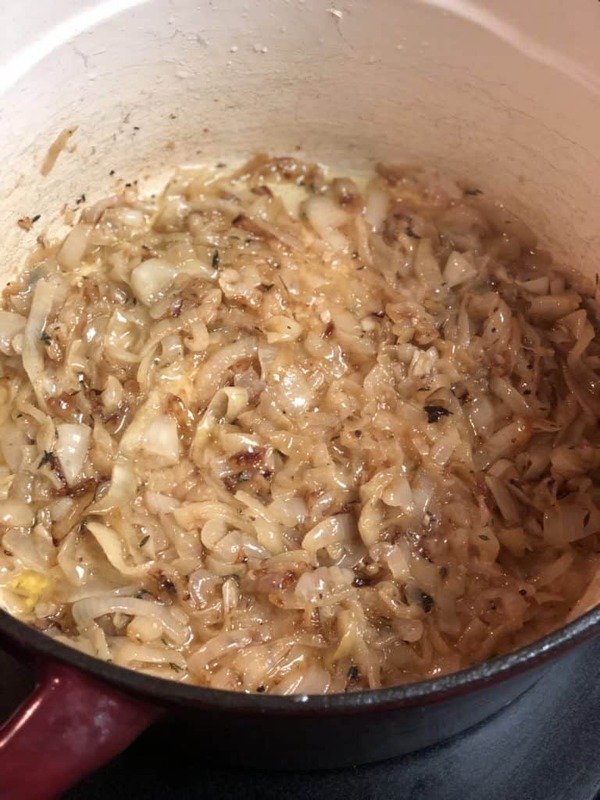 You are looking for a deep dark color…see pic below…this is the transformation of the onions over the hour! 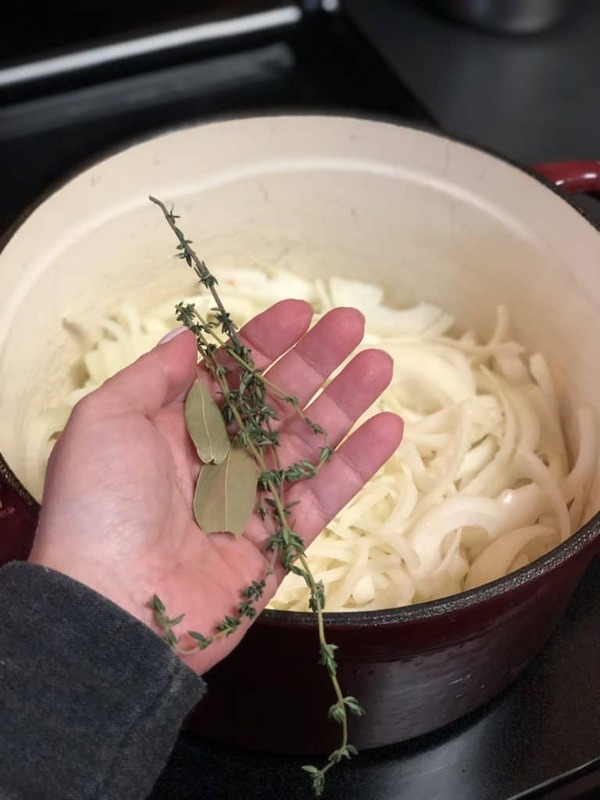 As the onions are doing their thing, grab your loaf of French bread and slice into about 1″ to 1 1/2″ slices. Turn on the broiler. 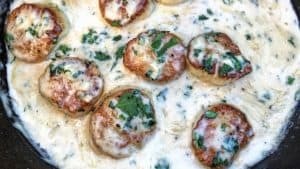 Lay the bread slices on a sheet pan or in a flat cast iron pan (I love this pan…click here to grab one). 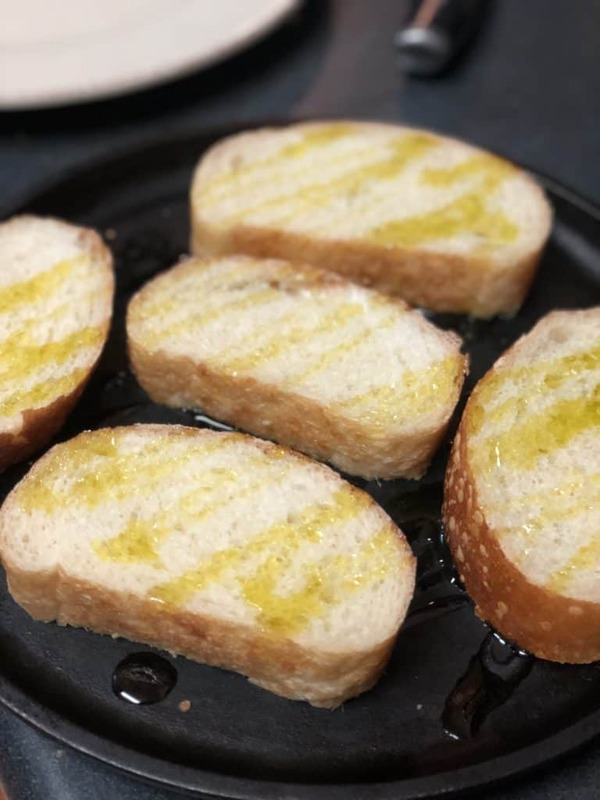 Drizzle with olive oil and allow to toast under the broiler until they turn a golden brown on both sides (I only drizzled one side of the bread…there was enough on the bottom of the pan to coat the other). 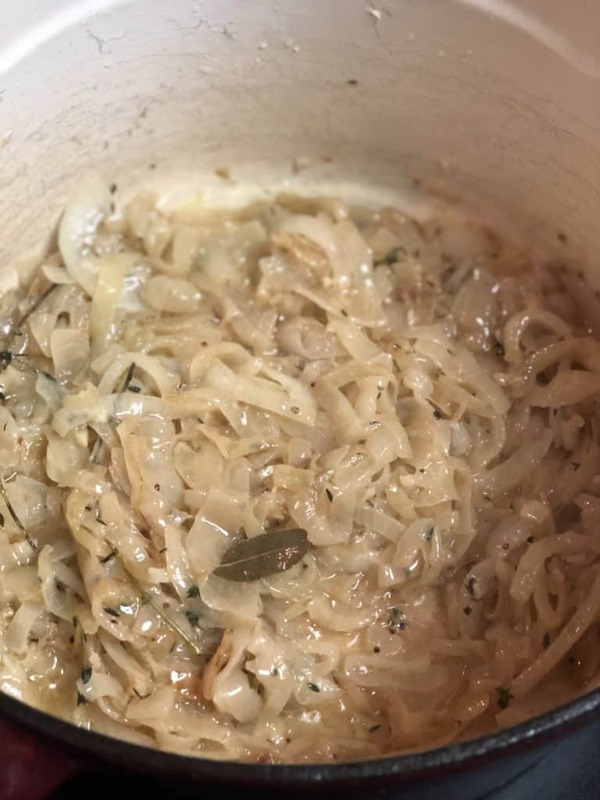 When the onions are perfectly caramelized, add in the wine. Scrape off any bits at the bottom of the pan. 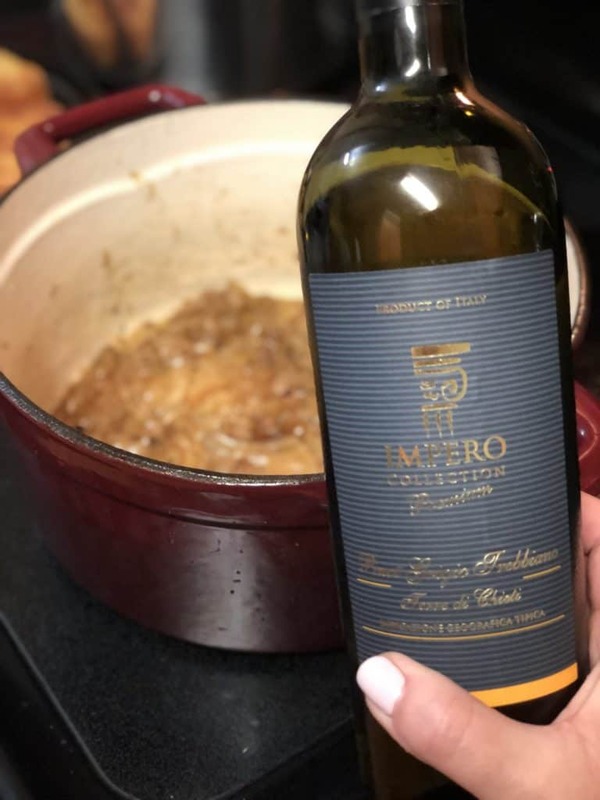 Cook off the wine…this should take another five to ten minutes. 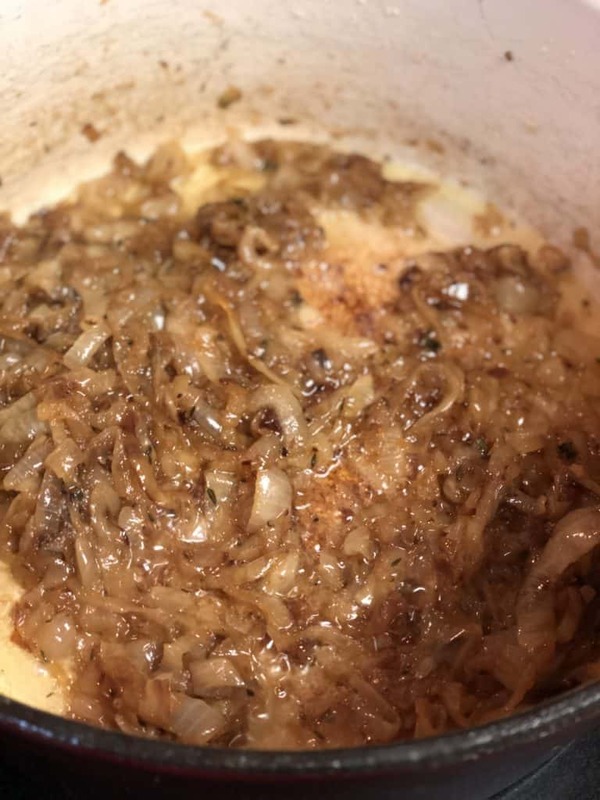 Coat the onions with the flour. Turn the heat to a medium-low. Stir and allow the flour to cook. This will take another five to ten minutes. Be sure to stir often. Do NOT allow the flour to burn! Add in the beef stock and Worcestershire sauce. Bring to a simmer. Taste to see if you need to add a bit more salt. 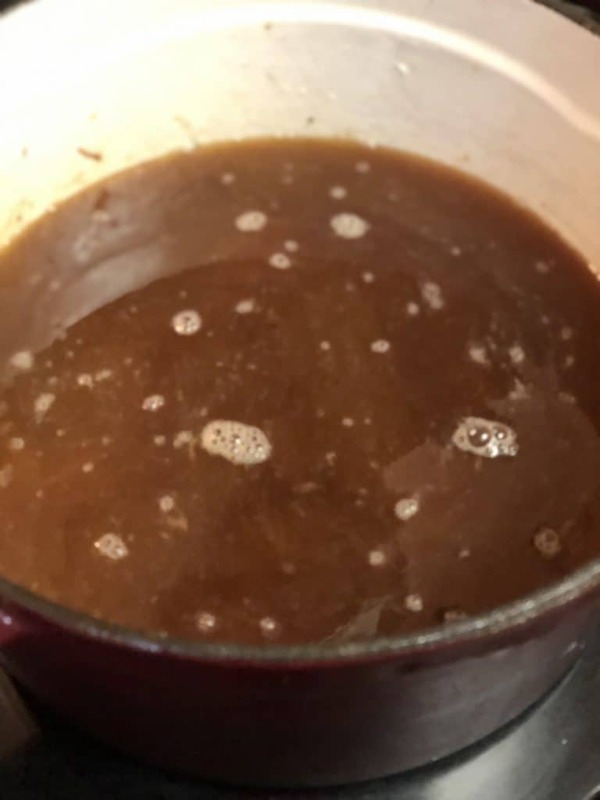 Simmer for about ten to fifteen minutes. 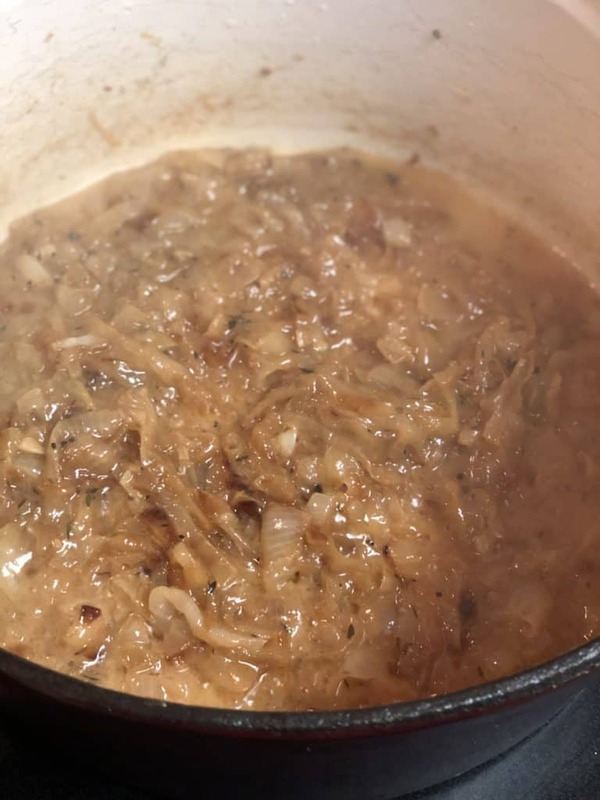 About halfway through the simmering process…I tasted and it had a really great flavor, but I wanted to elevate it just a touch. 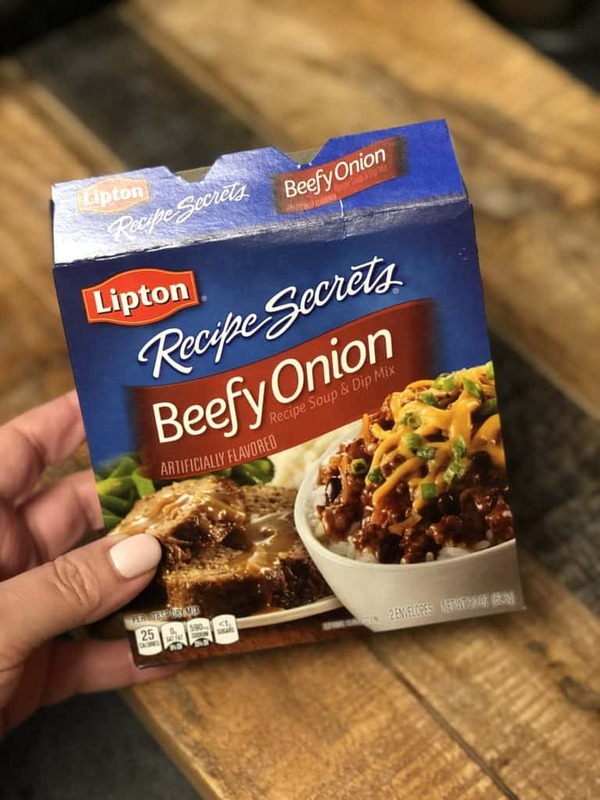 So, I added about a packet of Lipton’s Beefy Onion soup. I only added the powder. I just dumped the packet through a sifter so that it would catch the dried onion bits, which I discarded. Once the soup is done. 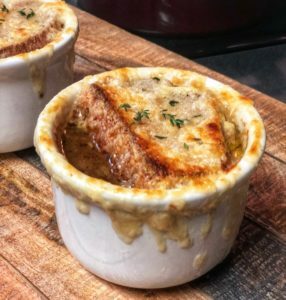 Pour into ramekins or deep bowls. Make sure they are oven safe. These are close to the ones I used…click here! Fill to just about 3/4 or so. 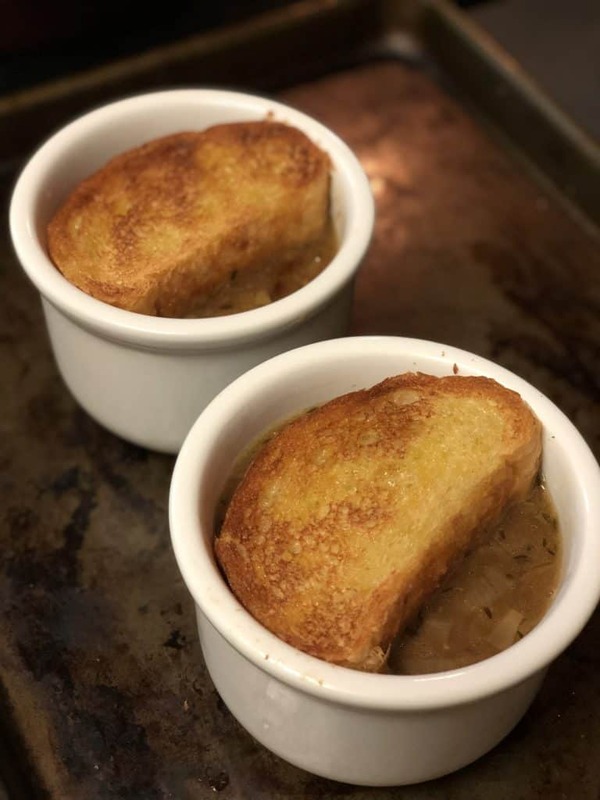 Add in the toasted French bread. 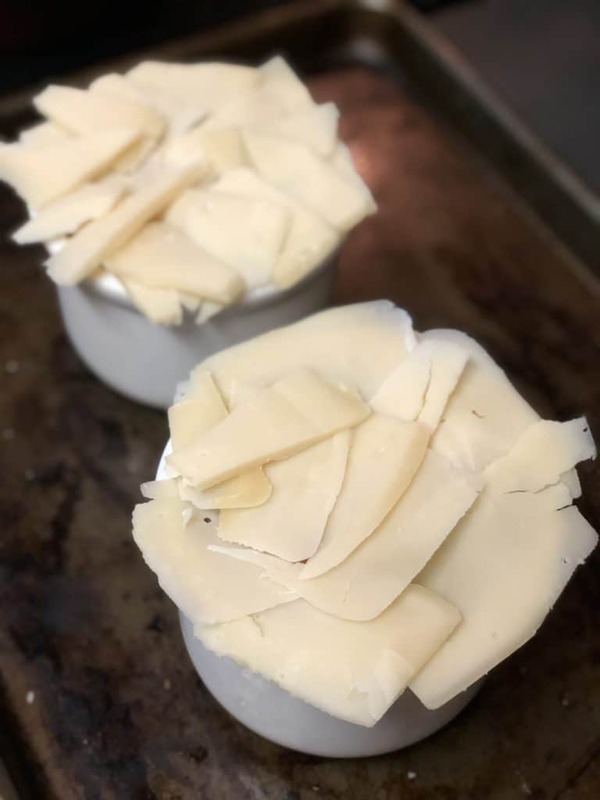 Cover the entire surface with a few layers of the Gruyere Cheese. 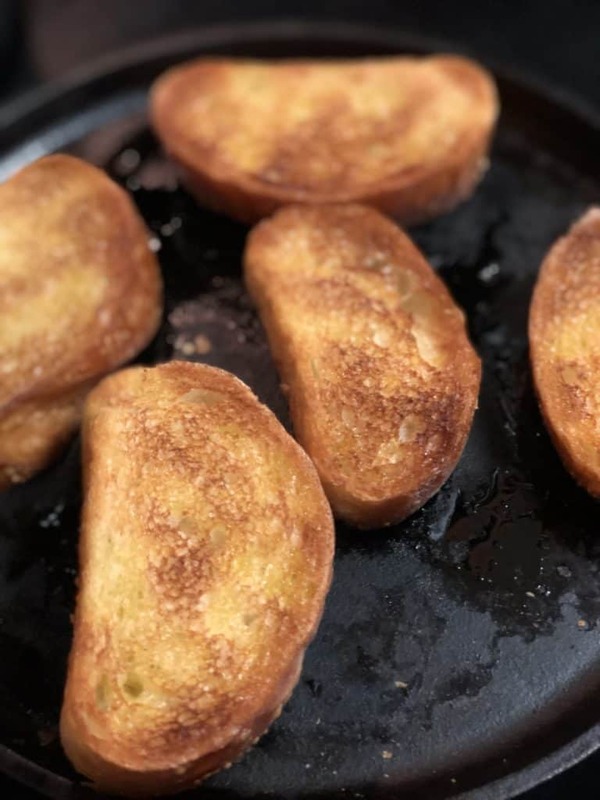 Place under broiler until the cheese melts and turns a golden brown! 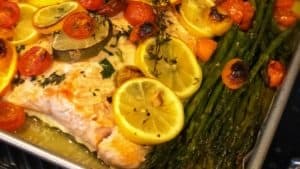 Garnish with a few fresh thyme leaves and ENJOY!